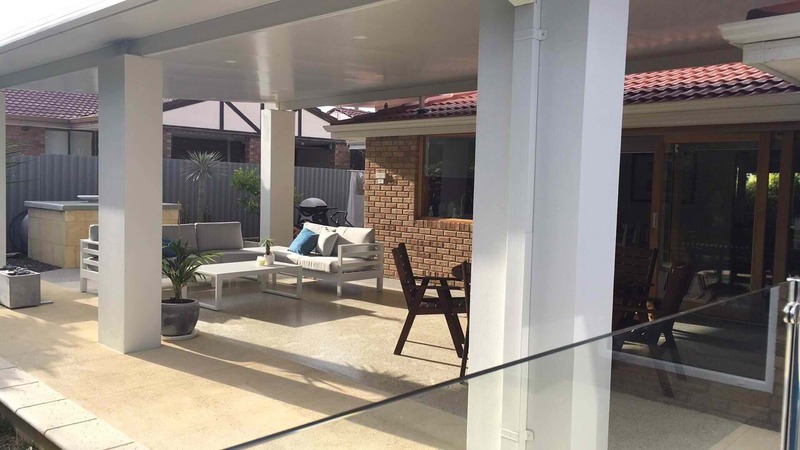 With a name like Fluid Limestone, it will come as no surprise to learn that we specialise in the production and application of high quality liquid limestone in Perth and the surrounding area. When compared with alternatives such as plain concrete, stone tiles, pavers and other materials, liquid limestone has many advantages to offer as far as outdoor areas are concerned. Easy to Maintain – Because it is naturally resistant to cracking or splitting, even in high traffic areas, invasive weeds and insects are rarely an issue. This makes it much easier to maintain a solid limestone surface than one that is composed of individual tiles or paving slabs. 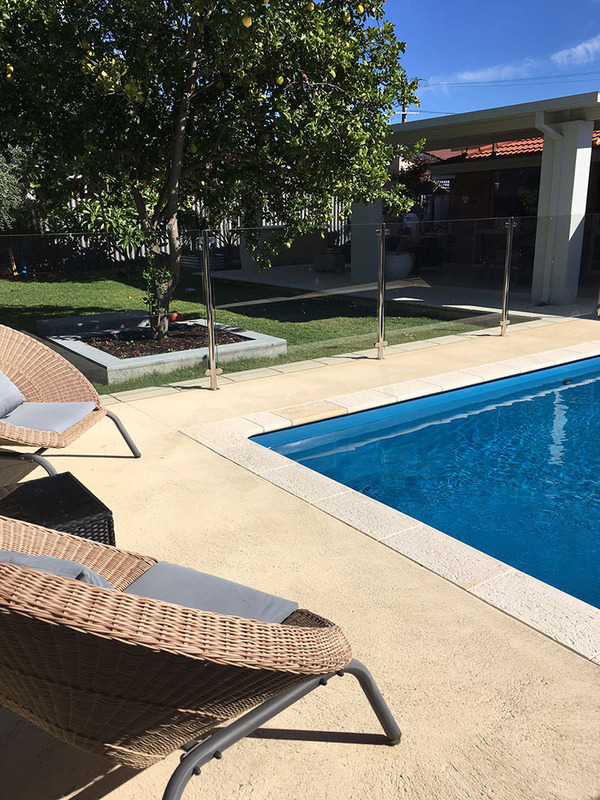 Cool to the Touch – Even on the hottest of summer days, limestone surfaces remain cool to the touch, which makes them ideal for pool surrounds and other areas where you may walk barefoot during the hotter months of the year. Suitable for All Budgets – The fact that the composition and quantity of the limestone and other materials in each surface can be tailored to meet your budgetary requirements makes it an excellent choice however much money you wish to spend. Visual Customisation – The ability to change the mix and composition of liquid limestone also makes it a great choice for property owners who wish to create outdoor areas that complement and enhance the appearance of their homes. By mixing crushed limestone with exposed aggregates, we can create an endless variety of colours and patterns, guaranteeing the perfect match for your home. Preparation – How much preparation work is required will depend on the state of the existing surface. In some cases it may be necessary to bring in more earth to create a level surface. In any case, we will need to compact and level the existing area until it is ready for the application of the liquid limestone. Creating the Mixture – The next stage involves the mixing of crushed limestone and concrete, in the desired quantities, ready to pour over the area in question. Once the mixture has been created, it can be poured over the already levelled and compacted area. If you have not chosen to add exposed aggregate, this will be the final stage. If you have decided to add exposed aggregate to your limestone surface, we will then move on to the next stage. Before the mixture dries, we will spray it with a surface retarder, to keep the very top layer wet. This is allow us to add exposed aggregate – gravel and stones of varied shapes and sizes – to the top layer and then, once it has partially set, to spread this exposed aggregate with a roller and push broom. Now that you understand the benefits this type of surface has to offer and the ease with which it can be applied, we would like to tell you why you should trust us to do all the necessary work. We specialise in liquid limestone and exposed aggregate surfaces, which means we know pretty much everything there is to know about them. This expertise enables us to anticipate and avoid problems which other companies may find hard to deal with. It also enables us to produce first-class results no matter what type of project we tackle. We have put together a highly experienced team, every member of which shares our dedication to providing you with the best service possible and our commitment to maintaining exceptionally high standards at all times. To request a competitive quotation or to ask any questions you may have about our liquid limestone and exposed aggregate solutions, please do not hesitate to call us on 9307 6498 during business hours, or send us an email whenever convenient.